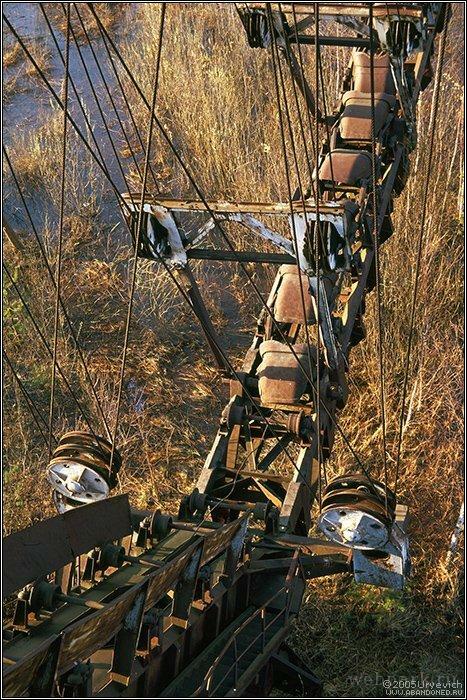 The abandoned heavy machinery from middle Russia, stays there from the Soviet times. Hard to believe it hasn’t been cut apart for scarp yet. this looks liike kazakhstan, if anyone saw the movie Shizo, they have a similar looking structure in a similar looking field. 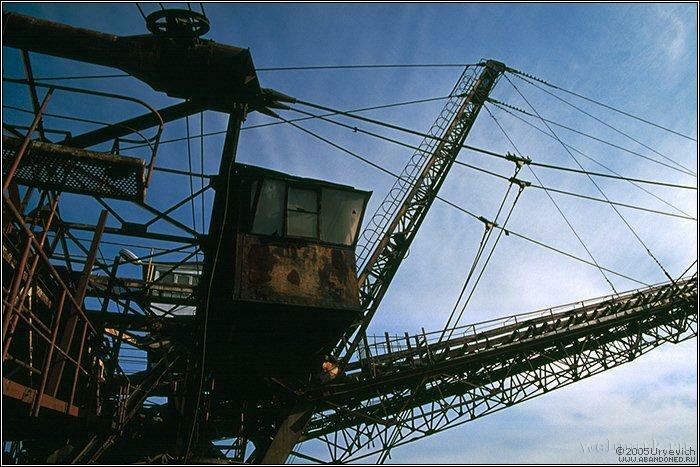 Looks like a old coal digger. It’s officially 120% awesome. 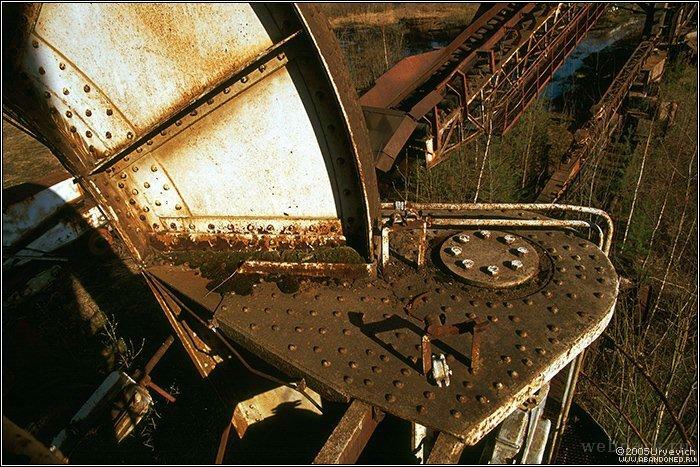 As an engineer, I am utterly fascinated by these photos, but there are some areas where one would wish that more detail was shown. This appears to be an excavation processing machine, and the stuff being excavated was surely an ore body or a coal seam. There does not seem to be any coal fines or particles visible at this point, so its purpose might have been ore recovery. 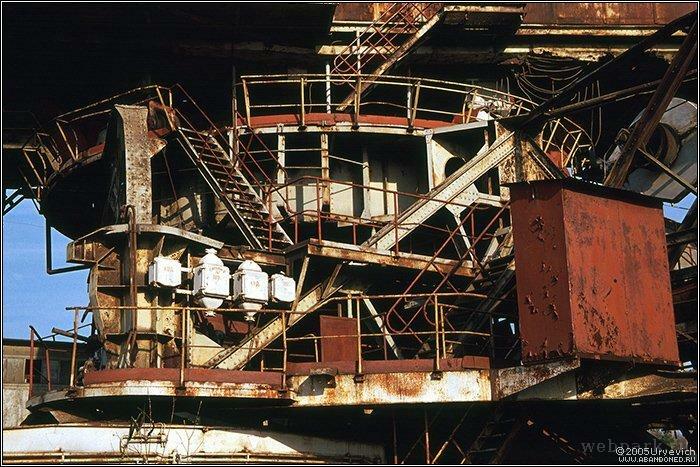 The prominent visible elements include the extended structure (photos #2 & #6) that contains processing, messing, logistics, and utility spaces, and possible crew quarters. There are several smaller operating and control spaces, as in photo #5. 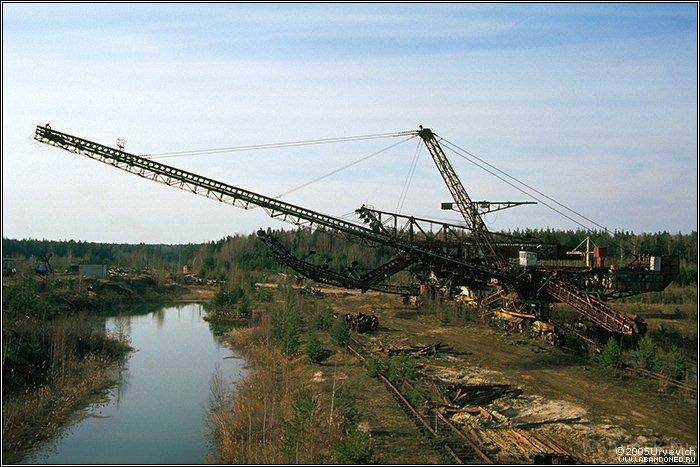 The long boom on the left in photo #1 is a conveyor belt that deposits the product onto barges in the canal on the left. Not well shown is the downward-sloping boom on the right front that receives the product/spoils, from which the material is lifted into the process spaces for grading and separation. This receiving boom is fed by trucks or rail. Photo #2 shows two other booms. 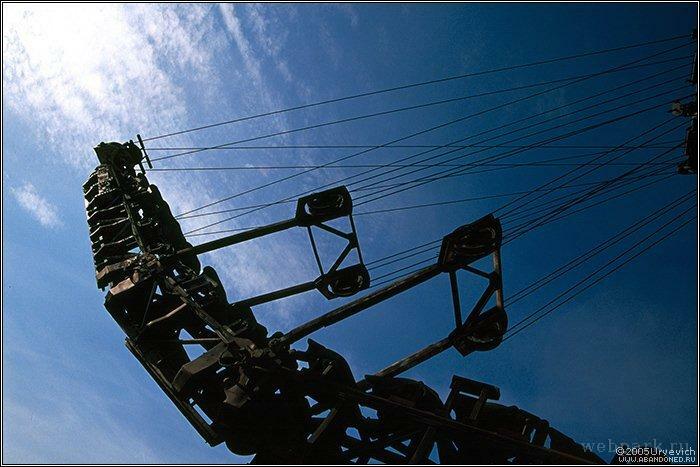 On the right, the boom is hinged at about the mid-point, and it contains another conveyor that discharges product to a rail car. On the left is the spoils conveyor. 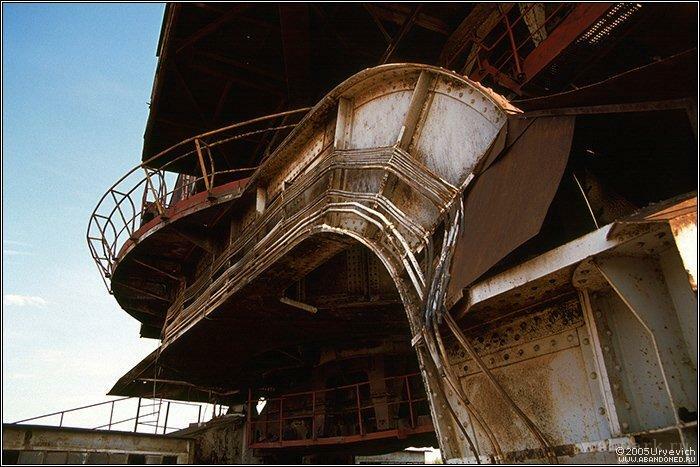 Waste is discharged down the diagonal shaft onto the spoils converyor for disposal. Photo #6 shows the white rail-mounted dollies on which the whole apparatus rides. 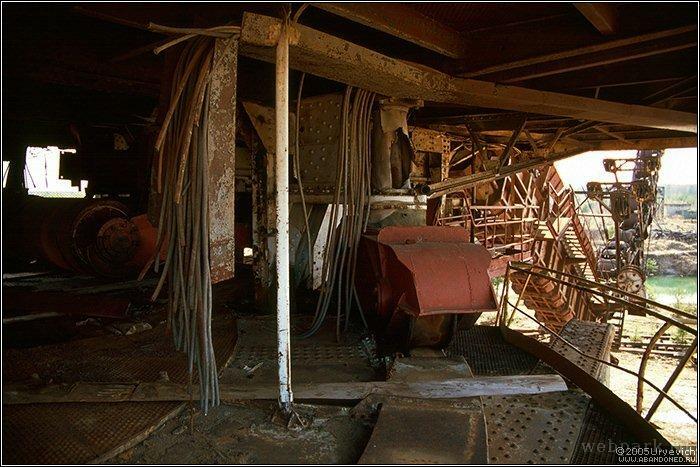 On the far left of photo #2 and the near left of photo #6 are two ancillary rail-mounted trucks for feeding material and/or removing material. The last photo shows a heat exchanger with the heads removed, exposing the ends of the tubes in the tube sheets. 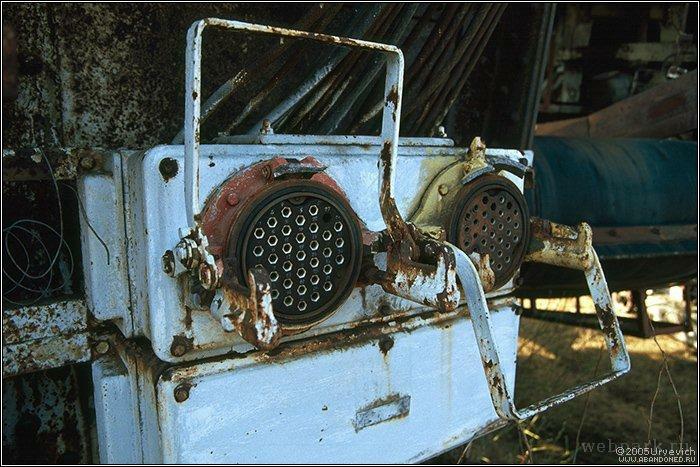 These exchangers should be for the purpose of energy recovery. I would welcome any additional or confirming information for my suppositions. To bad there was no aerial shot of the whole area. Iago, thanks for the informative comment. I guess that this is not to harvest the ore or coal but to remove the covering ground before actual harvesting. I think so because the output conveyor is not sectional, hence no accurate positioning of its end is possible. It should be next to impossible to accurately load train with it, but it’s still quite OK if all you need is to move the gound hundered meters away from the site. In addition, chain excavator is much less accurate than a rotary one. 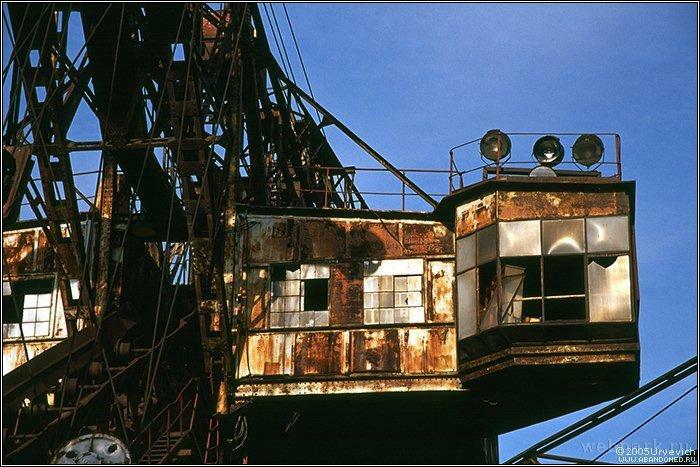 Using rotor, operator may reside very close to the rotor and continuously look at the quality of coal/ore digged, to not mix the ore with garbage ground. One can’t make that with a chain that scratches large surface. OTOH the chain is better for ground removal because it will make a smooth flat surface. The last photo shows high-current connectors. The last photo appears to be cannon plug connetions for electrical equiptment. You can see the electrical cables extending from the other side of the electrical boxes. They are huge, I can understand why you thought they were heat exchangers. 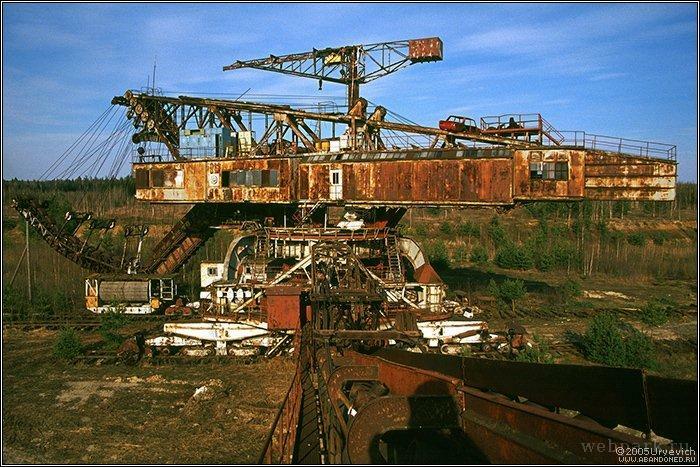 In Siberia they have/had even larger machines like this, that would slowly float up and down the great rivers and dig up & process all the sand in the riverbed, washing out gold that would have been inaccessible through other methods. I saw them once on TV in the 90’s… back then they were still running and producing huge profits. I’d like to know if these still exist. 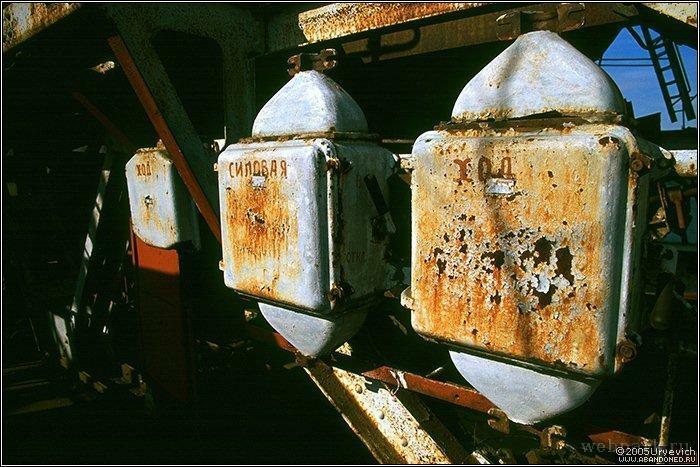 Damn… Didn’t those Soviets salvage ANYTHING?? 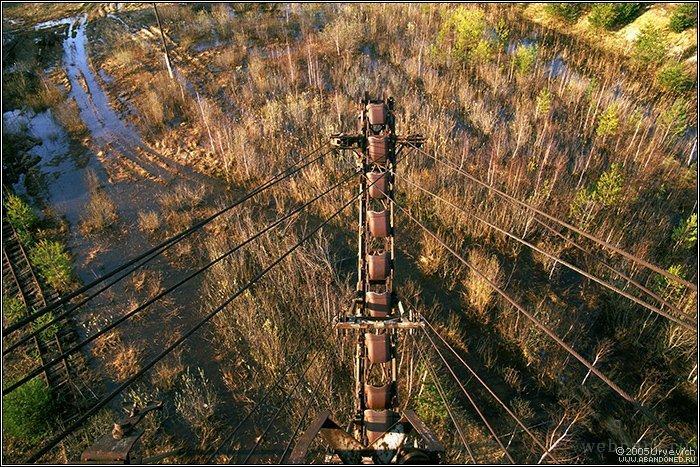 From what I’ve seen, old buildings, cars, trucks, tanks, airplanes… litter the Russian countryside, as if waiting for someone to come along and put it to rest. Err – this was already posted way back on page 84 – and there is a link to an aerial shot of the area. So there. 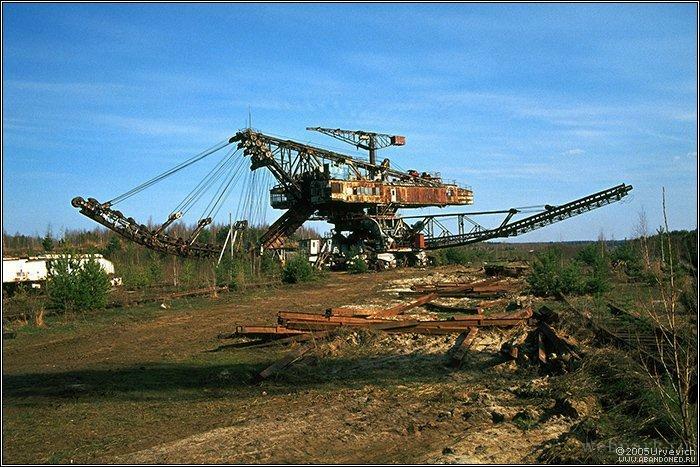 but it’s better to be like this,Huge machine that is made for destroying nature had been left. Srsly I never thought that destrying old machines just to use the metal was of much profit. 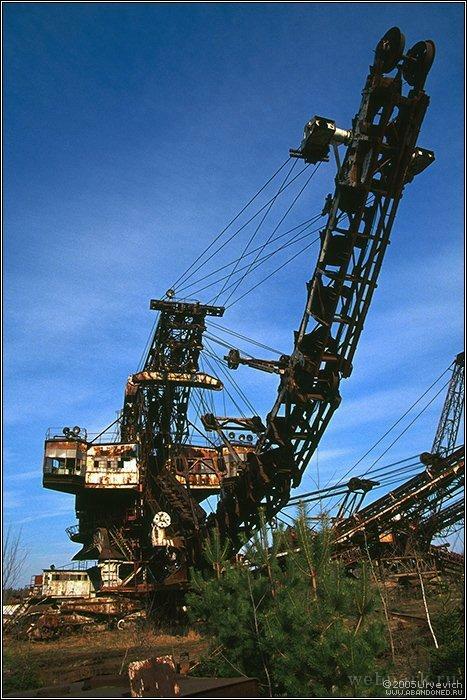 If you think this thing is impressive, look up a bucketwheel excavator. Now those are awesome. How long for topamax to take effect…. Topamax binge eating discussions. Topamax dosage for weight loss. Weight loss results topamax. Topamax. When does the copyright run out for topamax. Topamax side effects. Topamax discussion board…. This is obviously a modern amusement ride that travels around to county fairs.